Marist High School of Eugene has one of the most prominent football programs in the Pacific Northwest. With just over 500 kids one wonders how they continue to dominate the state year after year? It’s no secret that the Spatans rarely lose. They are (29-1) in their last 30 games played under Head Coach Frank Geske. They won a 4A State title in 2009 going 14-0. They followed that up with a 13-1 season in 2010 where they lost a nail biter to Sherwood 26-23 in the Class 5A state championship game. This season they have started 3-0 outscoring opponents 125-14. They have pitched two shutouts in as many contests, and are ranked #1 in the NEI 5A Rankings. It might be a couple months before they are tested again, so the question remains how does this small Catholic school keep its football so dominant? Its a simple answer; faith , family and football. When you talk to people associated with the program they treat it as a way of life. Everyone seems to be on the same page. They currently have multiple D1 prospects and an outstanding core of other athletes that are just better then other kids. This years Spartans are lead by a multi dimensional cast of all stars. Most people hear about the Spartan Wide Receivers before anything else. Taylor Walcott (6-0 175 WR Sr.) returns after an all state season where he hauled in 58 receptions for 1144 yards and 18 touchdowns. He currently holds five offers (PSU, Idaho, E.Washington, N.Dakota, Montana) and projects at the D1AA- D1 level. The 100 Meter 5A State Champion is all about team and wants nothing more then to win a state title. When asked about the teams biggest advantage Walcott says, “Coach Geske is the real deal, he has the knowledge of a top college coach and is helping us grow and get to the next level. You would think the kid with 18 touchdowns would be the team leader in that category but not so fast. Austin Baird (6-0 180 WR Jr.), in his sophomore season scored 20 touchdowns on 55 catches for 980 yards. He is a legit D1 prospect, and absolutely blew up the high profile Barton Premier Marketing Event at UW this past summer. Baird says, “I think all the talent we have on our team outside of the receiver positions open it up for us to do what we do”. Whats even scarier from 2010 is that they have a third receiver that lead the team in yards per catch. Josh Paiement (6-1 190 WR Sr.) averaged 23.1 yards per catch while hauling in 17 balls for 393 yards and 8 touchdowns. Together these three receivers have a ridiculous advantage. Any team with an average secondary will get abused by these three. It poses a significant problem for opponents and opens up the run game which Greg Park (5-10 185 RB Sr)- (84 carr, 762 yds, 10 Tds ,2010 stats) loves. In 2011 these three have combined for 37 receptions, 567 yards, and 8 Td’s. This has all been done with limited time on the field due to the beat downs given to most opposing ball clubs. One of the biggest question marks at the beginning of the year was going to be on the line with the loss of two D1 kids from a year ago in Logan Mayes and Matt Devereux. 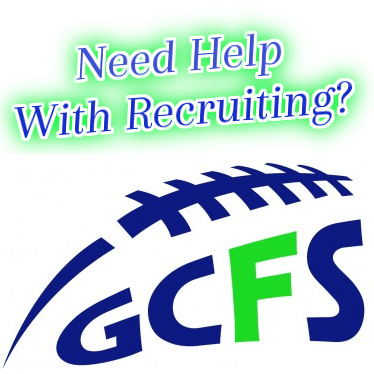 In 2011 they are looking for Paxton Milller (6-2 240 OL/DL Sr.) to be the guy leading up front. He was an honorable mention all league kid both ways last season, and has been one of the top performing lineman in the state thus far. He’s an athletic kid big enough to play line, but fast enough to keep at multiple positions. Miller was voted the teams Iron Man and doesn’t take a play off. “We expect to win a state title and will continue to work hard everyday until we have accomplished that”. He was an league basketball player during the winter and will be depended upon to lead in 2011. Josh Harper (6-3 195 DE/WR Jr) is another youngster that has also made a name for himself. He is currently leading the state at the 5A classification level with 2.5 sacks (Max preps). People can get lost with the big names that Marist has on its roster. Over the off season the names got even bigger. Two of the state’s top juniors transfered to the land of victory, and have helped ensure that very few 5a teams can hang. Kamerun Smith (6-5 195 QB Jr.) started as a sophomore at Willamette and has made the transfer to the private school. He is currently getting comfortable with a much more pocket friendly setting. At Willamette he was battered and suffered through a 1-8 season with a non existent line. This is more like heaven where he can make adjustments and find receivers. He is currently 39 of 67 for 597 yds, and has thrown 8 Td’s with 4 interceptions. To top it all off one of the best juniors in the state made the transfer from South Eugene. James Banks (6-1 220 LB/FB Jr.) is ranked as one of the top linebackers in the state ,and is a leading candidate for conference player of the year on the defensive side of the ball. Banks had a very impressive showing at the Nike NFTC this past spring and is considered a D1 kid with a big future. What Marist has been doing to opposing teams is unmatched. Most games starters will be out by half and subs will be getting their reps. Most of the kids including the transfers have grown up together playing ball. The community support and family atmosphere involved with Marist football has been nothing short of outstanding. We will continue to follow the Spartans and wish them nothing but success.